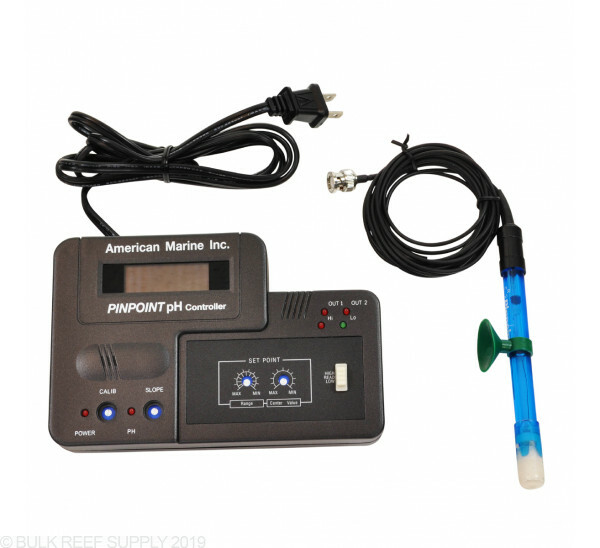 The American Marine Pinpoint pH Controller will monitor and control pH levels in an aquarium. This pH controller controls pH in an upward and downward direction. 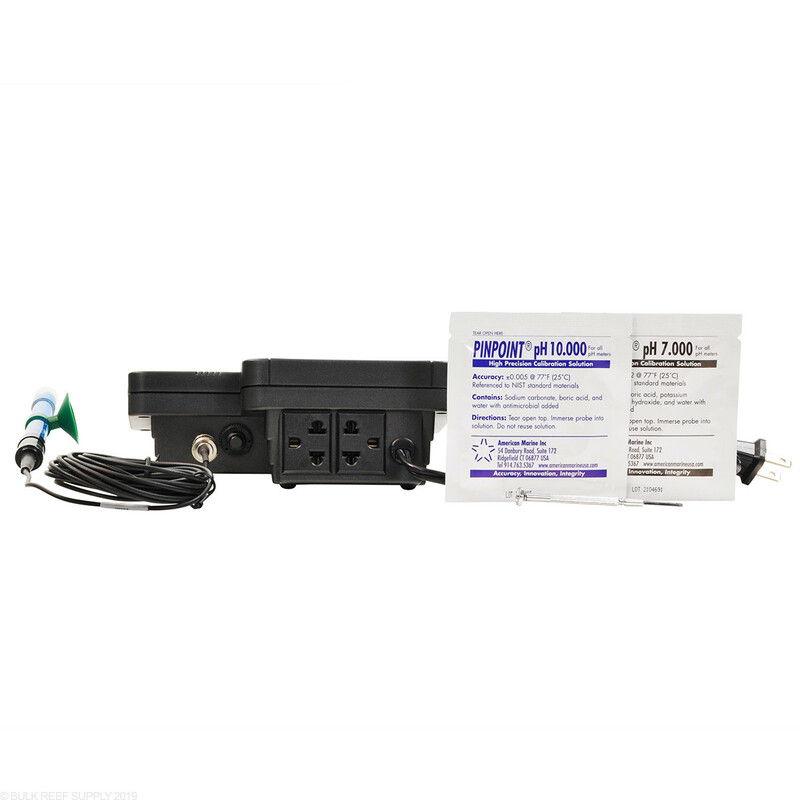 With proper care, this Pinpoint pH Controller should last a lifetime. When the unit works it's great, but two separate times the unit has failed to turn on/off the CO2 regulator for my calcium reactor at the appropriate pH. The first time it happened I unplugged the unit for a few days and it started working again. After the second time it never went back to working properly. This ph controller is very well built. 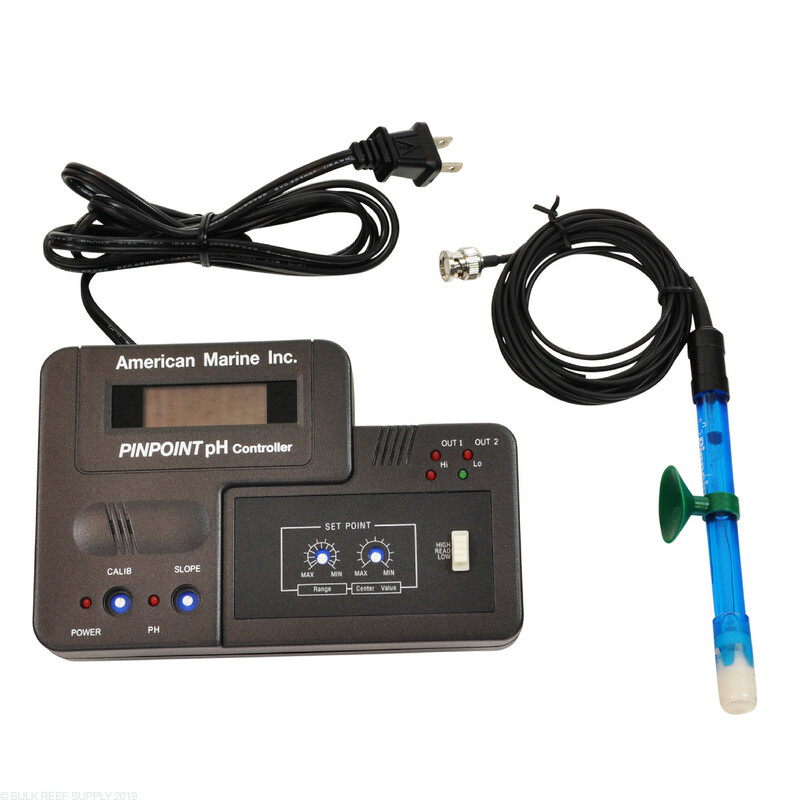 However, the ph probe is very sensitive. I tried to have my controller stand upright on a shelf, it tipped over and now the probe seems to short out or lose connection if it's moved, the display freaks out for a second. I wish the unit had a way for mounting it on a wall.